Homes for Sale in Woods of St. Thomas | Louisville, Kentucky | Woods of St. Thomas Subdivision | Joe Hayden Real Estate Team - Your Real Estate Experts! Learn more about Woods of St. Thomas Homes for Sale by browsing the property listings below. 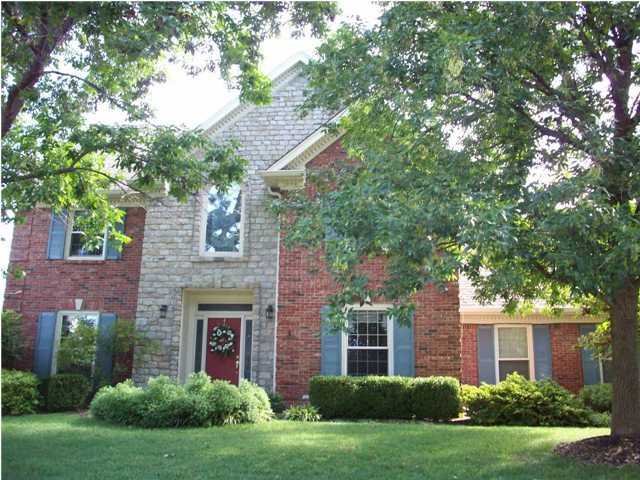 The Woods of St. Thomas Subdivision is located in Louisville, Kentucky. View all Woods of St. Thomas Homes for Sale on the Louisville MLS listings above! Woods of St. Thomas real estate is found in Eastern Jefferson County near Louisville, Kentucky. The subdivision of Woods of St. Thomas is located near the intersection of Highway 22 and US 42. Homes in the Woods of St. Thomas are typically executive homes that cater to successful members of the Louisville community. The Woods of St. Thomas is located convenient to the Watterson Expressway and that allows residents of the subdivision to access local amenities like shopping and restaurants quickly. You will find that homes for sale in the Woods of St. Thomas are generally constructed of brick and stone, with some wood siding. Most of the homes are traditional two-story designs, but there are a few ranch-style homes also found in the neighborhood. Woods of St. Thomas homes range in price from $300,000 to over $600,000 and feature such upgrades as granite countertops, open floor plans, spacious yards, plus luxurious master bathrooms. In addition, homes in the Woods of St. Thomas are found on wide, tree-lined streets that offer plenty of room for additional parking. The subdivision of Woods of St. Thomas includes a clubhouse, a large swimming pool, and tennis courts. You can reserve the clubhouse for private parties or gatherings, there is a swim team that you can join, and tennis lessons are offered. The Woods of St. Thomas neighborhood has fantastic access to the Louisville area by the Watterson Expressway, Interstate 71, plus Brownsboro Road. The Summit shopping is just down US22 from the Woods of St. Thomas and you can quickly find yourself at the new Westport Village shopping area. Homes for sale in the Woods of St. Thomas can be searched on the Louisville MLS listings above. Research all Woods of St. Thomas real estate using the MLS. The Woods of St. Thomas is a great place to call home!